Technology is designed to make life easier and more efficient. But oftentimes, it is complicated to use and requires a lot of time and effort to master. Today, the most successful technology goes beyond the technical specs and is all about the user experience. Jobs’ design-led philosophy made Apple one of the world’s best brands, one that is synonymous with being cool, fun to use, integrated and intuitive. Compare that to companies like Microsoft and Lenovo, whose technology offerings are largely viewed as complicated, technical, task-heavy and analytical. It’s easy to see which school of thought has triumphed. A new generation of product and design innovations is centered on humanized technology. From the sporting goods sector to the automotive industry, a number of companies have proven that every company can be a technology innovator. Below are a handful of businesses that truly exemplify humanized technology. Is Nike in the sporting goods business or in the technology business? The answer is both because their audience uses both. In 2012, Nike launched its Nike+ FuelBand, a wearable device that tracks a user’s movement throughout the day. Last October, Nike introduced its new FuelBand SE, which has a number of improvements such as longer battery life and hourly reminders to stay active. The fitness band put Nike on the leading edge of the burgeoning wearable technology trend. Deloitte predicts that wearable technology such as fitness bands, watches and glasses will generate $3 billion in revenue in 2014. Nike also has wearable tech of a different kind: it used 3-D printing to create a faster football cleat. The latest version, the Vapor Carbon Elite, made its debut at this year’s Super Bowl. The search giant is making game-changing leaps forward in areas outside its core business. Already a leader in wearable technology with Google Glass, the company is now testing a contact lens that can help diabetics measure their blood-sugar levels and eliminate the need for finger pricks. The lens is equipped with a tiny chip and miniaturized glucose sensor that can generate a reading of a tear’s glucose level every second. Google is exploring integrating tiny LED lights that could light up to indicate that glucose levels have crossed above or below certain thresholds. Tesla is at the forefront of electric vehicle design and is poised to become the first car company to take electric cars to the masses. The company’s Supercharging stations are now spread across the U.S., making a coast-to-coast trip in a Model S sedan possible for the first time. For the vehicles themselves, everything is designed with the user in mind, from performance to interior. For example, the console of the Model S has an intuitive touch-screen display that controls everything from lighting and music to automotive functions like raising the chassis. As these examples show, companies in a variety of sectors can be at the forefront of new and exciting technologies. The world is increasingly going digital and consumers have come to expect a high-tech experience that is both useful and accessible. For any industry, including retail, the new formula for success combines utility and intuitive design. Mercatus takes great care in understanding how consumers interact with technology, culture and retail brands. We channel that knowledge into user experience and design to create an immersive shopping journey. Following the tenets of humanized technology, our solutions “understand” human behavior and do the complex work behind the scenes. As leading-edge companies know, the best use of technology is the one people barely notice. Sylvain Perrier is President & Chief Executive Officer at Mercatus. 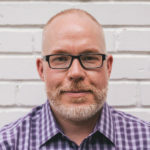 He has more than fifteen years’ executive-level experience in retail technology, and has dedicated his career to driving the success of grocery retailers with pragmatic, easy-to-use technology. Thanks for Requesting a Demo! One of our Grocery eCommerce Experts will reach out to you within 24 hours. In the meantime, we encourage you to check out our Resource Hub for the latest industry news and insights.